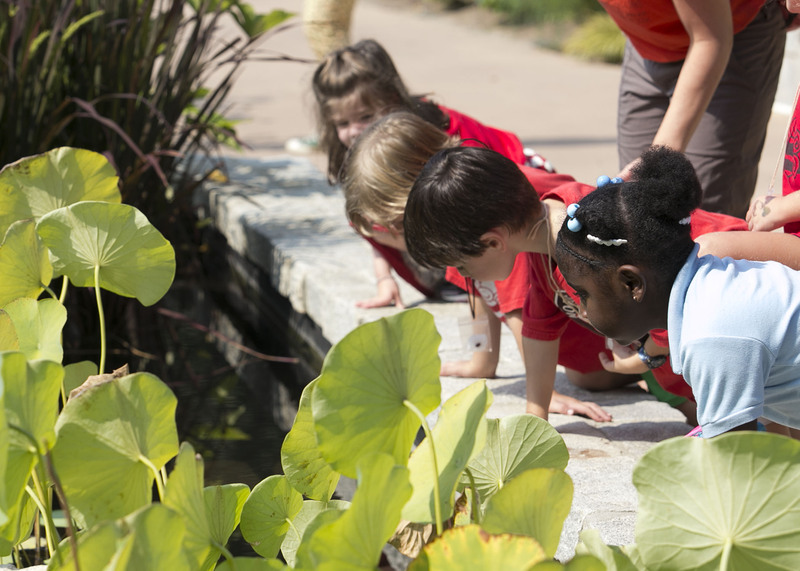 On September 9th, the City of Atlanta Mayor’s Office of Cultural Affairs announced the 9th year of the Cultural Experience Program as it kicked off at the Atlanta Botanical Garden. Through this program, every APS student from pre-kindergarten through 12th grade has an opportunity to visit an arts or cultural venue during the school year that directly correlates with Common Core Georgia Performance Standards and curriculum goals, including plays, concerts, museums, and more. The opening program featured sponsors and partners, City Council members, VIPS and dignitaries. Speakers included Candace Byrd, the City of Atlanta Mayor’s Chief of Staff, Kristina Christy, Director of Corporate Responsibility at Turner Broadcasting System, and Dr. Linda Anderson, Assistant Superintendent of Teaching and Learning at APS. Turner Broadcasting System Inc., a partner that provides school buses for all of the Cultural Experience Project trips, was recognized for receiving this year’s Americans for the Arts BCA 10 Award (the first time an Atlanta company has received this prestigious award), as well as the Phoenix Award (the highest award given by the City of Atlanta). 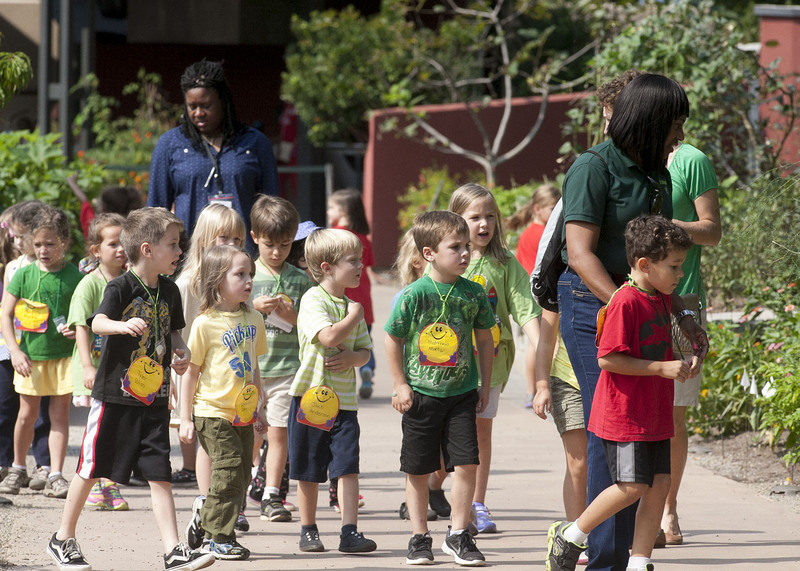 Approximately 1,500 APS kindergartners participated in “Kinder in the Garden,” where they explored diverse living collections, observed giant leaves in the Tropical Rotunda and small leaves in the Desert House, smelled fragrant orchids and viewed colorful Poison Dart Frogs. The Butterfly Maze in the Children’s Garden has been recently updated with new plantings, such as Loropetalim ‘Ever Red,’ a gorgeous cultivar with brilliant red blooms. In the Gnome Garden, various shade-loving plants peak children’s curiosity and imagination. Sponsors for this year’s Cultural Experience Project include the National Endowment for the Arts, The Zeist Foundation Inc., Turner Broadcasting Inc., The Charles Loridans Foundation, The Mark and Evelyn Trammell Foundation, The Coca-Cola Foundation, The Kendeda Fund, The High Museum Art Access Program, and The City of Atlanta. Atlanta Botanical GardensAtlanta Public SchoolsCharles Loridans FoundationCity of AtlantaCity of Atlanta Mayor's Office of Cultural AffairsCoca Cola Foundationcommon core georgia performance standardsCultural Experience Projectfine artsHigh Museum Art Access ProgramKinder in the GardenNational Endowment for the ArtsThe Kendeda FundThe Mark and Evelyn Trammell FoundationTurner Broadcasting System Inc.Zeist Foundation inc.